If I can shoot families in their homes where all the chasing, playing, crying, working and growing happens for the rest of time I definitely will. This family moved into a gem of a home, their forever home, and I was so lucky to be able to tell the story of their first stages, just a few months after they moved in. 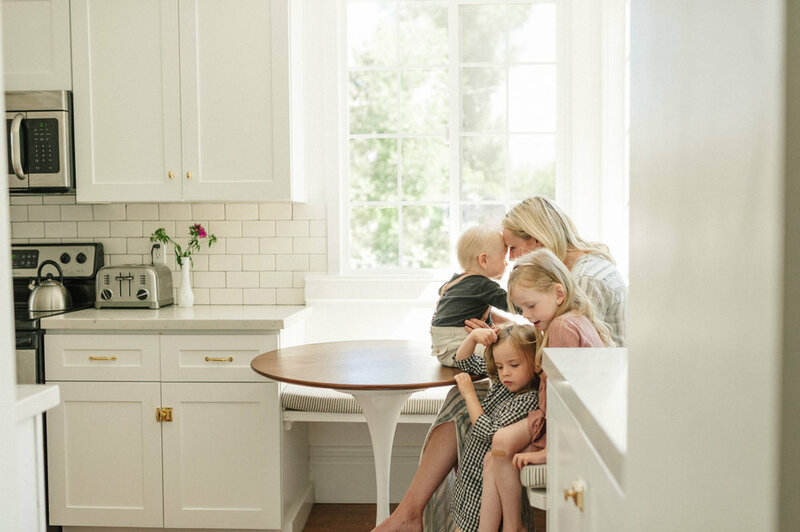 Utah has it's share of gorgeous homes with loads of character and this growing family is just the perfect match. If you're still reading you are probably interested in making heartfelt, meaningful images of this time in your life. Send me a note and we will get it on the books!